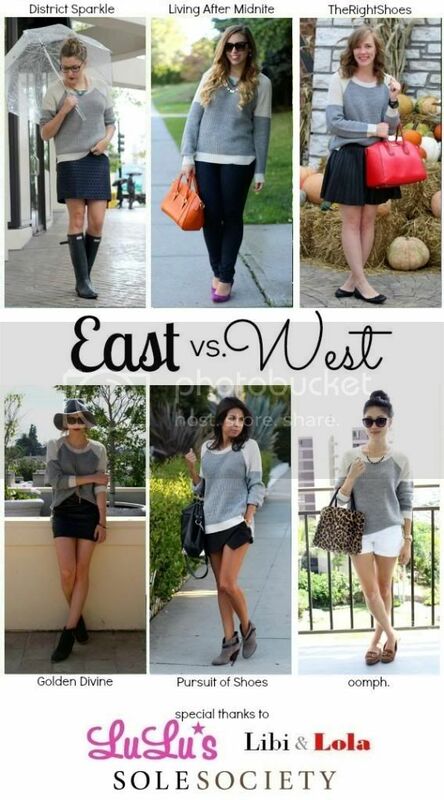 I can't believe the fall version of East v. West style collab is over today! It's been such a blast styling some of the top trends with these lovely ladies. Today is all about chunky knits. I decided to keep it pretty simple because I love the simplicity of fall and wanted to translate it to my outfit. There's nothing like throwing on a large sweater and getting cozy. What would you pair with this sweater? I think it'll be jeans and booties next. 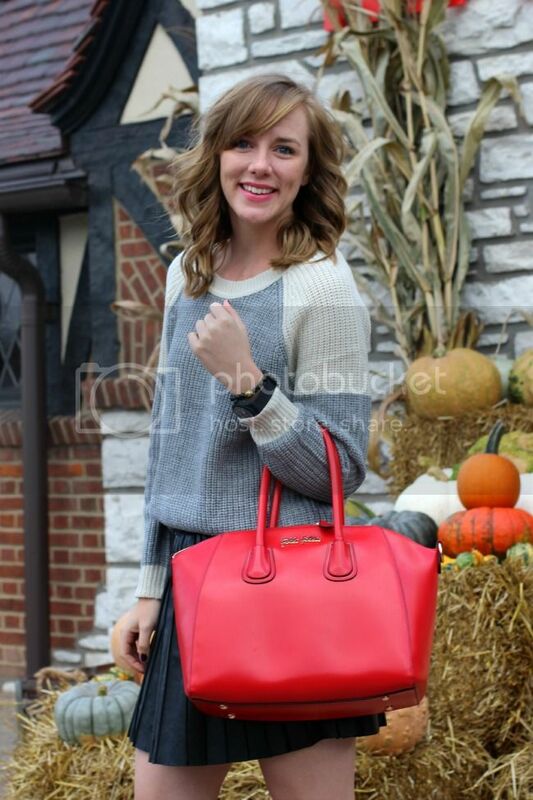 See how everyone else styled their sweaters below (and check out the adorbs Libi & Lola necklaces)! 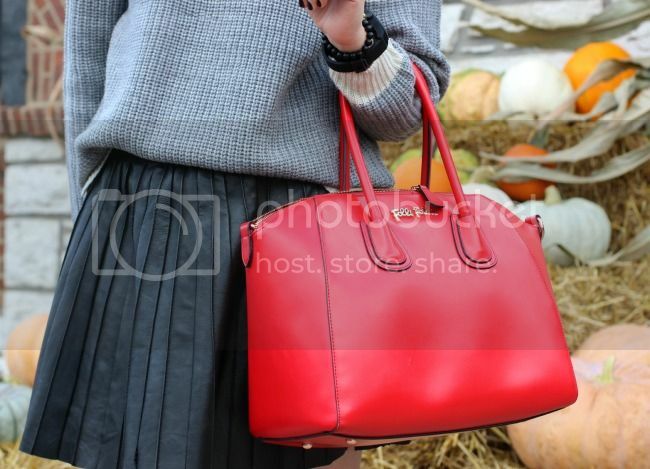 i think the sweater is perfect with this amazing pleated skirt! love the look, tracy! I love the skirt you chose. The shape and pleats are classic but the leather gives it a fun twist. I really enjoyed your whole collab. series! 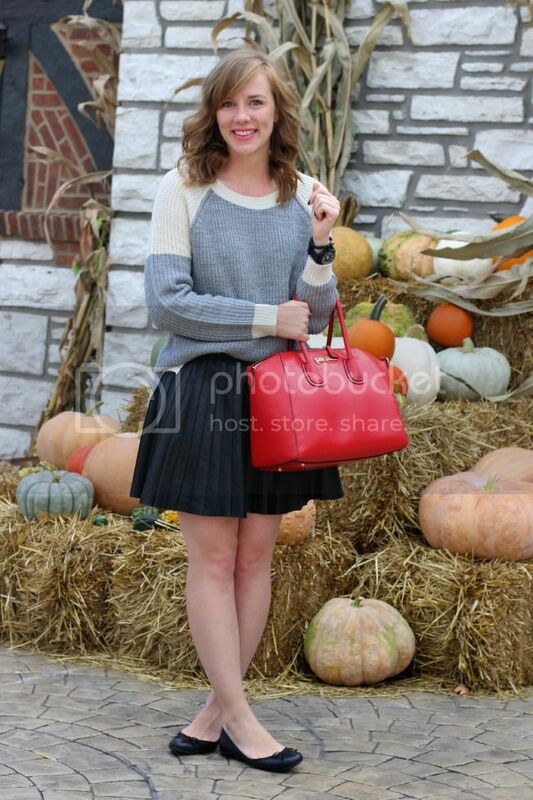 loved how you paired the chunky sweater with the pleated skirt!